In Canada, both Alberta and British Columbia enacted eugenic legislation. However, Alberta’s program was more public and far more extensive than British Columbia’s. British Columbia destroyed its eugenic records, but it is estimated that approximately 200 people were sterilized in that province. In Alberta, the actions of the Eugenics Board were both open and public, and almost 3000 people were sterilized during its almost 45 year reign. Further, Alberta’s sterilizations were placed in the centre of public opinion through a very highly publicized set of lawsuits against the Alberta government. In Alberta, eugenic beliefs and practices emerged out of a combination of social and political conservatism. Alberta joined Canada as a province in 1905. In the early years, most rural dwellers lived in social and physical isolation, and until the 1960’s Alberta’s population was largely rural, politically conservative, and deeply religious. The United Farmers of Alberta (UFA), which began as a political lobby group for farmers, became the reigning political party in 1921, holding a majority until 1935 . The UFA based many of its policies on agricultural interests, and it supported its sister group, the United Farm Women of Alberta (UFWA) in lobbying, among other things, for women’s equal voting rights [2, 3]. The UFWA were able to exercise considerable influence on policy. UFWA president Irene Parlby, for example, was appointed as the government’s first female Cabinet Minister, and her work with impoverished, isolated and socially burdened women led her to lobby for women’s access to voluntary sterilization . Likewise, UFWA member and Member of the Legislative Assembly, Louise McKinney supported passive eugenics by lobbying for establishing institutions for ‘mental defectives’ and active eugenics by promoting sterilization . Emily Murphy, another UFWA affiliate and the British Empire’s first female magistrate, also publicly supported eugenics. During the early decades, Alberta experienced tremendous immigration and social dysfunction due to isolation and upheaval, and these contributed to moral panics that led the UFA to propose the Sexual Sterilization Act of Alberta of 1928, which passed virtually unopposed. This initial version of the Act required the consent of the person who was going to be sterilized, or consent from a next of kin, and it garnered very few sterilizations. In 1935, the election of the Christian and socially conservative Alberta Social Credit Party (SCP) gave rise to further social conservatism. The SCP ruled without significant opposition for almost 40 years . 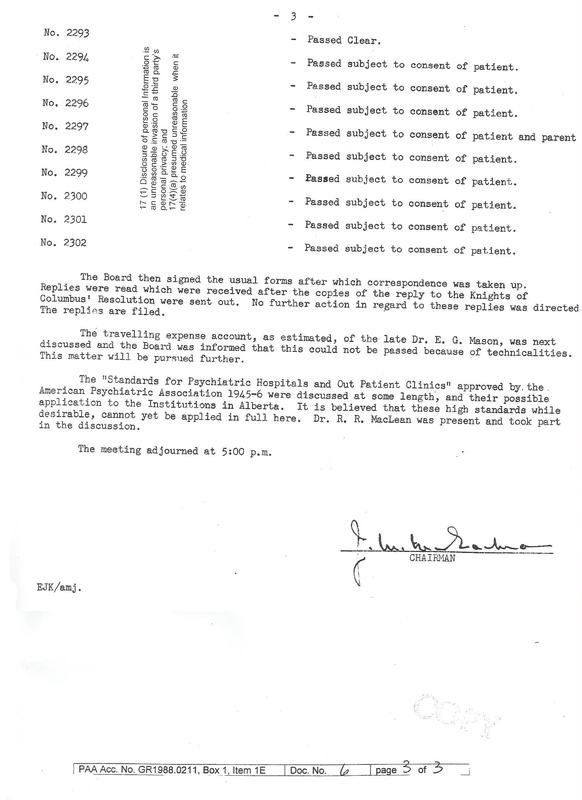 In 1937, the SCP amended the Act to permit sterilization without consent for people deemed mentally defective or psychotic; this amendment also protected anyone connected with the eugenic program from legal liability. A final amendment made in 1942 further broadened the scope of who could be considered mentally defective, and therefore subject to sterilization. The 1928 Sexual Sterilization Act established an appointed, 4-member Eugenics Board to implement the practical work of eugenics. Throughout its 43 years, the board only had 21 members and had complete autonomy over its operations. 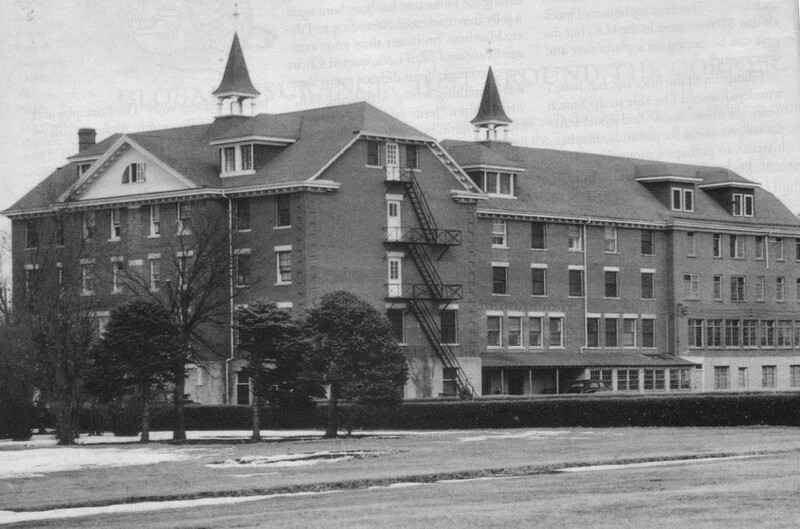 Board members included the Superintendent of Provincial Training School (Michener Centre) and Board meetings were held routinely at Michener Centre and Alberta Hospital (Ponoka Mental Hospital). Operations were performed at both Michener and Ponoka, and the vast majority of sterilization victims came from the inmate populations of both institutions, because many of those inmates were deemed incapable of consent [4, 6]. 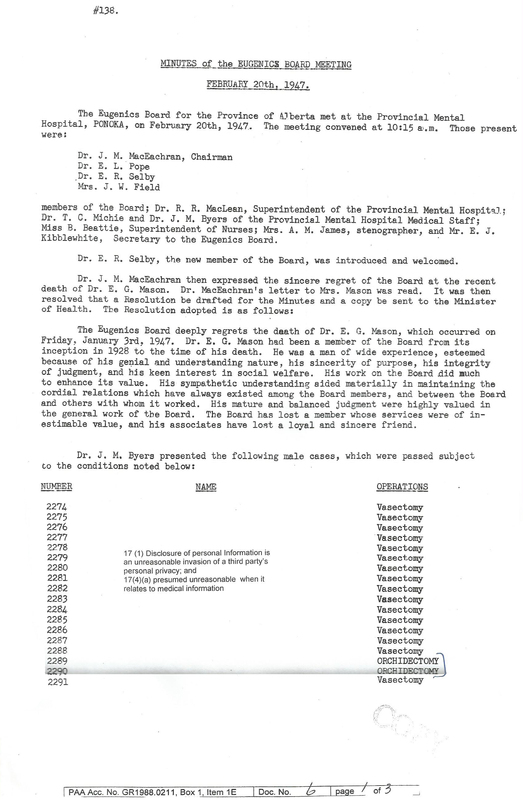 The Board often reviewed cases for sterilization without the individual present, and survivors’ description of the cases indicate that there was little care or attention to detail in case reviews . Indeed, of just under 4800 cases heard, virtually all were approved for sterilization, although ‘only’ a little over 2800 of those approved resulted in actual sterilizations, primarily on people from whom consent was not legally required . In her analysis of the full set of eugenic records, Dr. Jana Grekul found that the average time taken for all cases was slightly less than 10 minutes . The Sexual Sterilization Act remained in force for 43 years, only being rescinded with the fall of the SCP and the election of the Conservative party in 1972. In 1995, the first of several lawsuits against the Alberta government, was launched by survivor Leilani Muir, resulting in settlement payments for wrongful sterilization to many remaining survivors. Anonymous. United Farmers of Alberta. 2014 [cited 2014 April 27 ]; Available from: http://en.wikipedia.org/wiki/United_Farmers_of_Alberta. 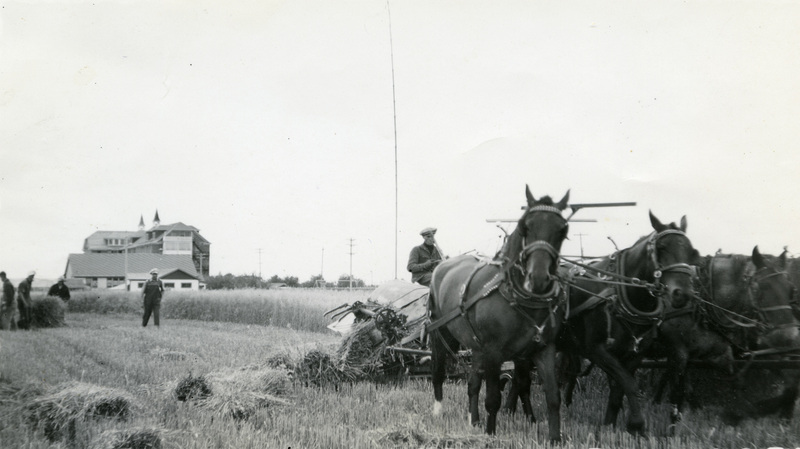 Langford, N., Politics, Pitchforks and Pickle Jars: 75 Years of Organized Farm Women in Alberta. 1997, Calgary: Detselig Enterprises Ltd.
Rennie, B.J., The Rise of Agrarian Democracy: The United Farmers and Farm Women of Alberta, 1909-1921. 2000, Toronto: University of Toronto Press. Anonymous. Alberta Social Credit Party. 2014 [cited 2014 April 27]; Available from: http://en.wikipedia.org/wiki/Alberta_Social_Credit_Party. Grekul, J.M., The Social Construction of the Feebleminded Threat: Implementation of the Sexual Sterilization Act in Alberta, 1929-1972, in Department of Sociology. 2002, University of Alberta: Edmonton. p. 291. BC saw what was happening in Alberta and destroyed its most egregious records to sanitize what really occurred. Less we judge them with the morals of our time? They removed the name Eugenics and replaced with human resources in 1972 when the NDP said they would rescind the eugenics laws. That was a partial lie. The BC NDP while crafting legislation to end eugenics simultaneously sped it up and forced disabled patients into deadly experiments with two goals: Sabotage and short of that claim victory if doctors were successful. The government worked overtime to kill and undermine the doctors and slave victim as much as possible. All surreptitiously of course. First, the government identified and targeted those who could be the most meaningful to medical science. Second, they would sabotage the care the government ordered and ergo hinder medical advancement of people the government viewed as castoffs. Concurrent Canadian governments have been hiding this reality and claiming eugenics ended in 1972 in BC and AB when in fact the BC provincial government was killing kids up till 1974-75 and perhaps beyond? The Social Credit government that followed the BC NDP were no different than the Alberta SC party and in fact destroyed documents to the depth of what occurred in their governments prior to the BC NDP -1972-1975. Remember the SC party of BC was in power along side the SC party of Alberta for nearly the same amount of time and believed in the same farm practises be applied to humans. All three parties believed in eugenics and exploitation of some citizens by creating systems to make them subhuman. Canada is not a human rights leader for the rights of all. Especially the disabled. I know this because I am a survivor. Forced human experiments Feb 21, 1974 ordered by Dave Barrett’s government and his farmhands who espoused that it was nothing personal your just need to die for our country’s purity. We were the inferior and our heart disease would cost business and society if you Canadian’s allowed the inferior to live among you they said to doctors, parents, and myself. 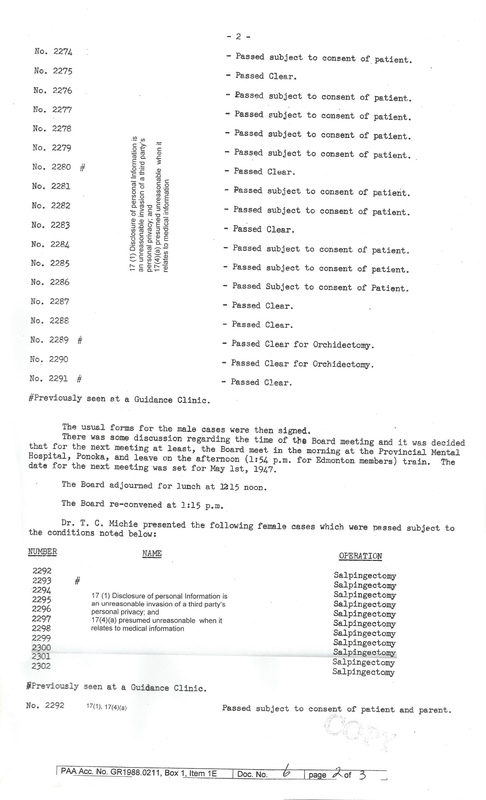 Example of 1970s eugenic practices: open heart experiments where ordered by the government using eugenics laws in secret and forced the victims to submit to experiments with a serious 50% survival rate. All under the laws of eugenics and community safety – two tenants that are common in eugenics and its subsequent exploitation of children. In my case the government ruled it was unjust to allow myself to have a 90% of survival with my other disorder (minor dyslexia that invoked the eugenics laws) when more desirable children, but in much more dire circumstances (heart disease), take on greater risk. Lower mine to 50% because I am a castoff. My life’s work it was decided by Canada was to be on the operating table as a slave. Make the disabled pave the road first for the more desirable. The ends justify the means.